Welcome to Kidville - Carroll Gardens & Cobble Hill! Award winning art, dance, gym, and music classes make Kidville the best place for families with young children. Our classes and birthday parties help kids learn, play, and grow! The coolest place to play in the summer! 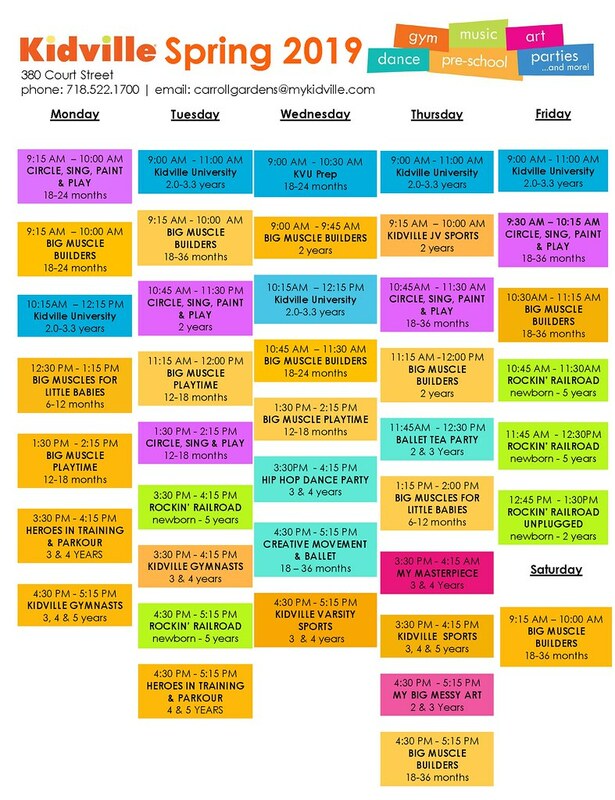 For our NEW Spring schedule please scroll below! 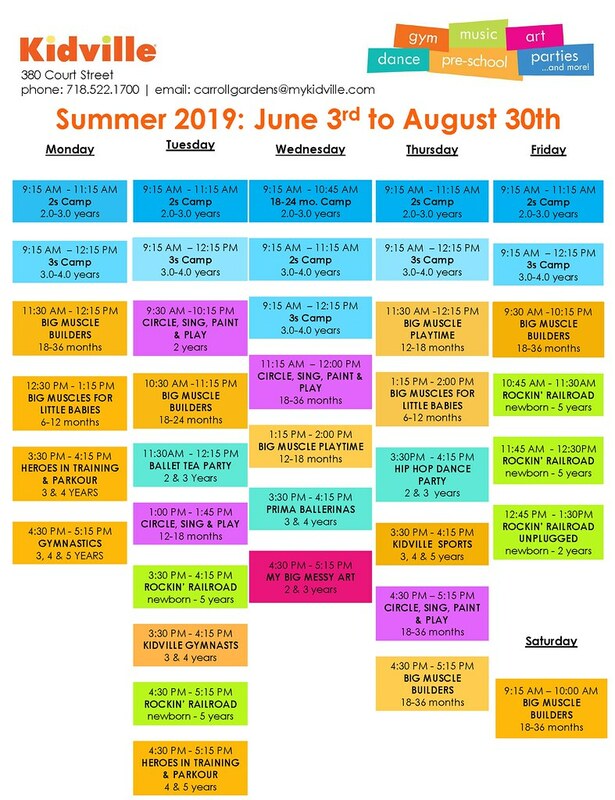 For our NEW Summer schedule please scroll below!